Each of our summer programs are tailored to be age appropriate and flexible to serve the needs of each child. With each new year, children “graduate” to a higher division, where they encounter new adventures, excitement, and challenges, all built on the CGI hallmarks of safety, fun, and unconditional love. Sometimes, little packages have big needs; like love, nurturing, play, and development. At CGI, our early childhood professionals are warm and loving, and focus on developing your child’s motor skills and social interactions. From sports and outdoor play, to art and music, your little one’s will be showered with love, while will be cared for by trained specialists expanding their horizons in art, physical activity and swimming. Our flexible schedules, extended care options, lunches and convenient location make it even easier for you to take advantage of this great program. Campers specialized schedule is complete with arts, sports, music, science, an age-appropriate swim program and much more! 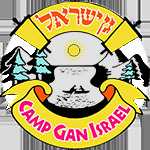 For over 25 years, Camp Gan Israel offers an unmatched schedule complete with arts, sports, trips and a variety of workshops. The campers thrive in the positive Jewish atmosphere and spirit unique to “Gan Izzy”. For the more senior campers, we have a camp division filled with challenge and adventure! Get the great stuff you did as a camper, and much, much more. Senior Camp takes the fun of Gan Izzy camping to a new level! For the budding tweens, the swimming, trips and workshops are spiced up with more specialty activities and age specific outings. Feel like a true pioneer – cuz it’s a different kind of camp experience! The CIT Program is the ultimate Gan Israel camping experience. Our Counselors-in-Training, our most senior campers will have a hands on experience where they will learn about leadership and responsibility.